I hope you are enjoying your half term, I will catch up with you on Saturday when you can tell me all about it. I was going to go the woods on Sunday fully prepared to make an intervention, but the weather wasn’t that good, so I stayed home and drew this instead. 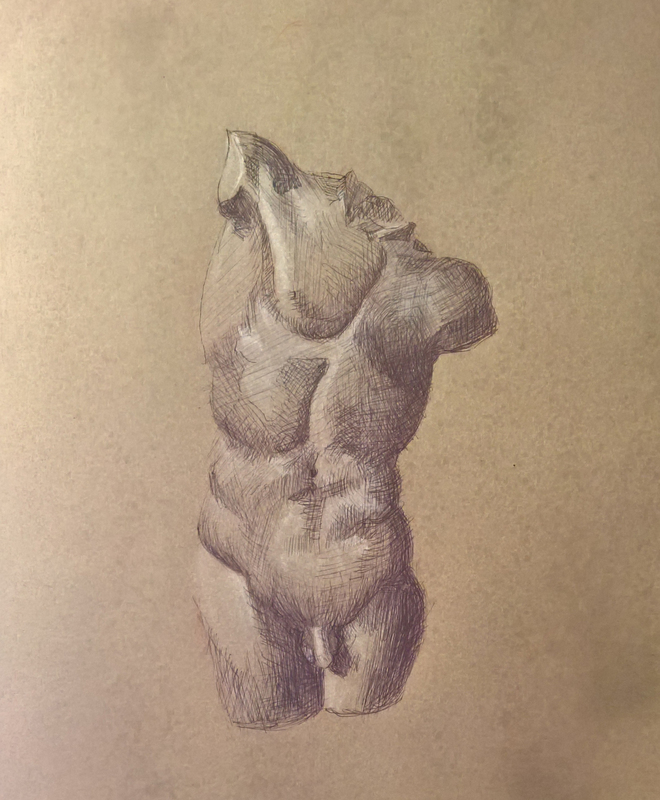 I am particularly pleased with it as it is derived from my study of Raphael and the shadows are not too dark and even in the shadows you can see the form. I know it isn’t an intervention with the landscape but time and the weather wait for no man. I have written you a real live letter in the post, can’t wait for you to reply.